Managing Your Own Career – Critical Skills! Gone are the days when you can join an organization and look forward to the next 20-30 years of steady growth, promotions, and happiness. The career world just isn’t that way anymore. The Technical or Functional Skills are those skills that are entirely dependent on the nature of your career. For example, if you are a physician, then the technical and functional skills are those you learned while earning your MD degree and put into practice through your residence or further work toward a sub-specialty. In a sense, they are the “Core Competencies” pertinent to a particular job in a particular organization. If you are pursuing a corporate career or a career in a service industry such as accounting or law, then your technical or functional skill will be those that deal directly with the nature of your work and of the core competencies of your company – those competencies that make your company unique. The Technical or Functional Skills are those skills which you have to keep up to date as new technologies, new businesses, or ways of doing business – or doing surgeries – evolve over time. This blog will not dwell on the Technical or Functional Skills other than to point out that they are a direct outcome of the “Critical Skill” of Continued Education. The “Critical Skills” you must have cut across all industries and functional areas. And, in general, they are TIMELESS. When you first enter the career world, try to work for an organization that is known for doing things “right.” Do whatever job you might have to the best of your ability, and concentrate on learning the Critical Skills. Learn a little bit (it’s pretty easy) about the “Doom Loop.” It applies to everyone – especially those who are quick learners. As time goes by and you go up the learning curve – and up the Doom Loop curve – anticipate that at some time you will cross over the top of the “Doom Loop” and start becoming frustrated and bored in your work. When you change jobs such as receiving an internal promotion (preferably) or you leave for another organization, make sure that whatever job you take is consistent with the skill mosaic that you are trying to build. Be very careful of straying far from that mosaic lest you begin to blur your experiences in the eyes of someone who might be considering you for a higher level position. Do NOT take a lateral move outside your current organization simply for higher compensation. You will soon (about four months) find yourself bored and frustrated in your job – albeit at a slightly higher standard of living. And your skill mosaic will not have been strengthened. 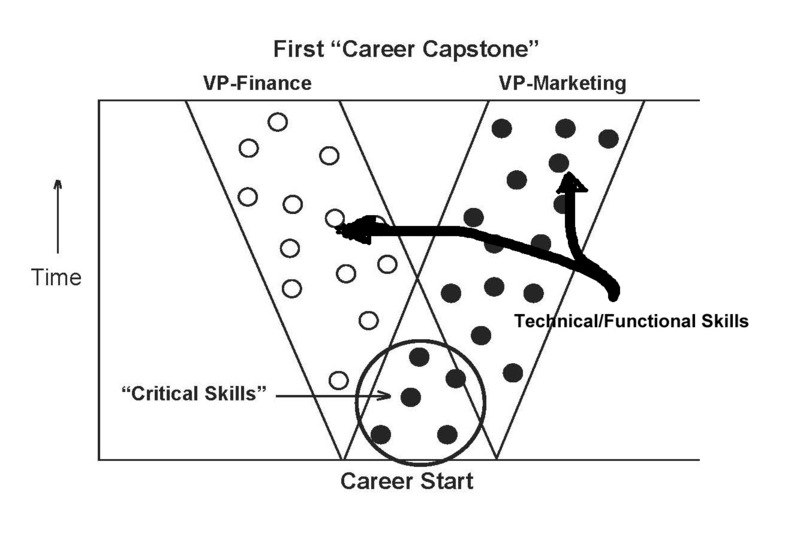 Whenever you make a job change, try to ensure that your new job not only keeps you within the skill mosaic that is aimed at a target “capstone” position, but that the cluster of the new tasks and responsibilities puts you somewhere in the “Q1” and “Q2” quadrants of the “Doom Loop” matrix. That not only challenges you, but it ignites your motivation and puts you in a position where you can learn new skills over time and start moving up on the “Doom Loop” curve.